The page contains the Main Mission, Elaaden: A New World, which takes place on the eponymous planet. Ryder has to meet a krogan contact in the sandy dunes of this newly christened krogan homeworld. Meet Elaaden, the hot world being colonized by the krogan. 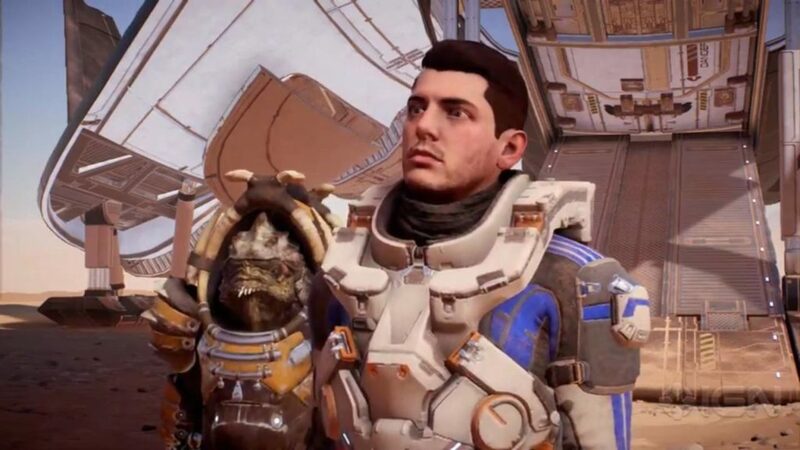 Upon touching down, remember that Drack should be with you on this mission. Jorgal Strux will be in Paradise, the landing point on Elaaden. Take note of the crashed remnant starship. Head for the marker. Inside the building is Annea, who will point you to Jorgal Strux. Ask for Jorgal Strux and head to his location on the map. He will be on the upper platform overlooking the desert to the northeast. Talk to Strux. He says that he has to support his people and his clan. Text It makes sense. That’s asking for trouble. Find the nearest forward station so you can activate and summon your nomad. Drive to your location. 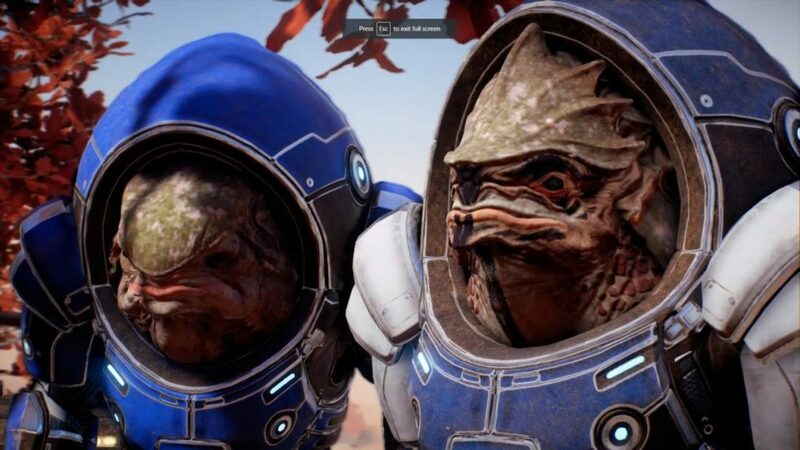 Head for the door, where two krogan guards are menacingly standing by. Talk to the guards and watch Drack berate them. Welcome to New Tuchunka, home of the Krogan! You can now head to the Throne room. 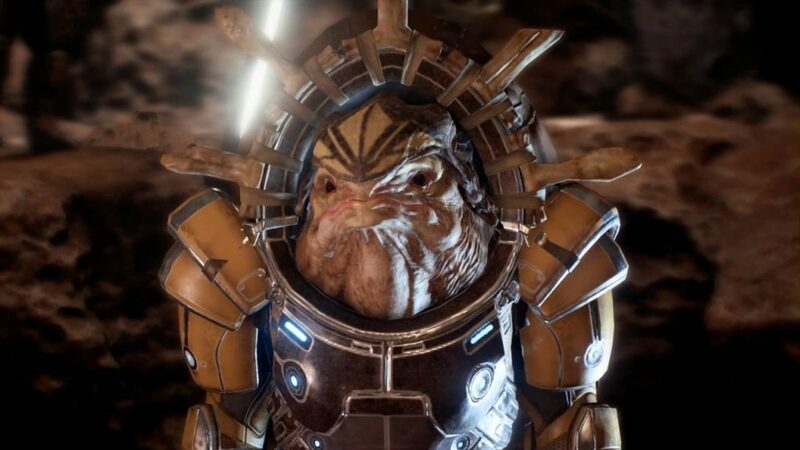 Talk to Ravanor Brenk, a krogan in black armor. Morda interrupts you. Brenk tells you to meet him near the fighting pit. Morda: “This is thrilling. I’ve never stood so close to a Pathfinder before. 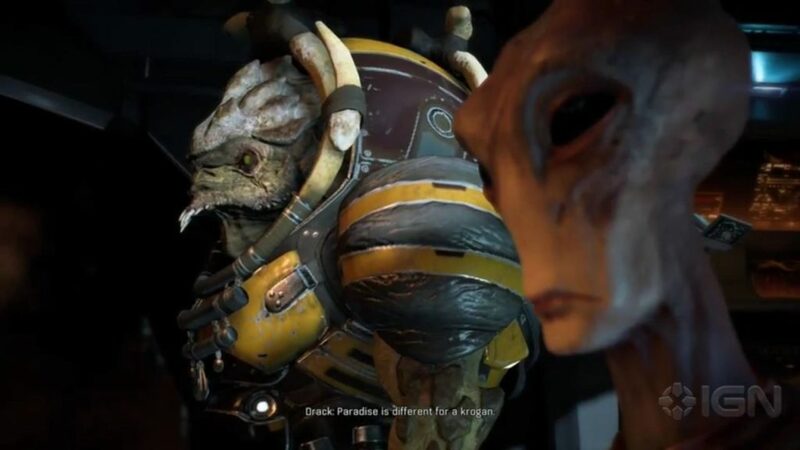 Mostly because the Krogan never got one. Welcome to new tuchunka. Text Let’s just relax. You’re angry, I get it. Outcome Your manipulation is so transparent. No advice for you, only regret. Get out of my face before I smash it! Afterwards, you can either say a sarcastic line or a polite one. Brenk, like he said earlier, will be in the fighting pits. Follow the marker down and out of the cave. Note that the pits are on a lower level than the throne room. It turns out that Morda is after the drive core of the remnant ship you saw earlier. Head west-northwest. The Remnant ship is huuuuuuuuge, so you won’t have trouble finding it. The journey won’t be a desolate one, for many wild animals roam the desert’s shady places. Upon entering the Remnant derelict area, you’ll find yourself in a battle against raiders and remnants. Watch out as well for some automated remnant turrets lurking in the area. Finish off the raiders and head for the entrance, located north of your location. 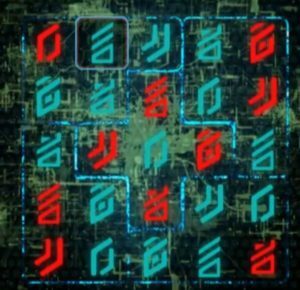 Use the remnant console. Pass through the dead hallways of the alien ship. Use the remnant consoles to create bridges. It turns out that the drive core was already taken by raiders. Head north, following the marker. Many mobs will try to take you out. They’re mostly limited to remnant assemblers, breachers, and observers, so you don’t have to worry too much. The observers will pack a punch unless you have fully automatic guns like the N7 Eagle, which I find burns through observers like hot butter. Upon leaving, follow the flares up and out of the ship. Trace the Path of the Stolen Drive Core and retrieve it. Head to the location designated by your marker. You’ll meet some foes along the way: most prominently, two fiends will charge at you. Make sure you have some incendiary abilities on hand! You can find the box that once held the remnant core, but apparently it was taken. Get back on the trail. Your next location won’t have the drive core as well, sadly enough. SAM says something snarky. Look for the datapad lying on the floor in the middle of the wreckage. Drack asks snarkily why anyone would write down a password. Head for the final objective point. 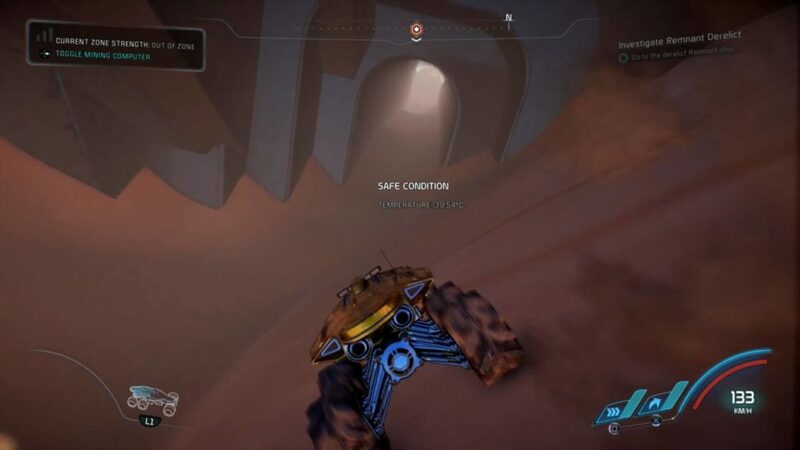 The drive core, apparently, is in a cave system. Head for the flop house’s lower level and enter through the cave. Open the cave door. Inside, sharpshooters, raiders, and a krogan berserker will greet you with gunfire. Your enemies are shielded and armored, so use disruptor and incendiary ammunition, respectively. Upon taking out the enemies, look for the remnant console. It turns out the drive core was taken by Jorgal Strux. Mercifully, you can just fast-travel to New Tuchanka, so do just that and enter the Krogan throne room. Enjoy the extremely narmy cutscene! You’ll receive 1,000 Remnant research data and 2,000 credits. You will have no encounter with the Architect and lack an outpost on Elaaden. Give Drive Core. Get outpost. 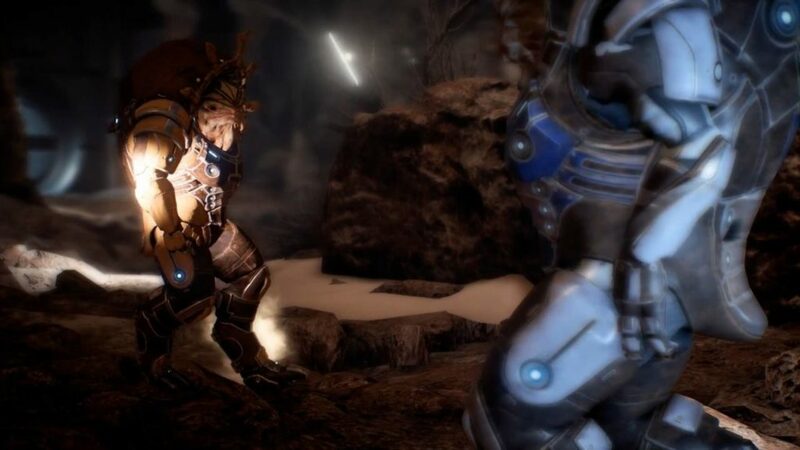 The Krogan will put down an outpost on Elaaden, allowing the Andromeda Initiative a foothold on Elaaden. I DIDN’T EVEN SEE THE CAVE! I WAS CRAWLING OVER THAT MOUNTAIN FOR AN HOUR!